Hello from Dusseldorf! Super quick post to show you this dress from Zaful which I ordered earlier this month and I really like it! A more relaxed look perfect for the upcoming weekend. Lots of kisses and happy weekend! Hello desde Dusseldorf! Post rápido para vos mostrar este vestido da Zaful que encomendei no início deste mês e que gosto imenso! Um look mais relaxado perfeito para o fim de semana que se avizinha. Beijinhos e bom fim de semana! 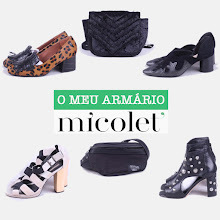 Que conjunto giro, e fotos fantásticas! So beautiful outfit and photos! :) Love it. I love the contrasting fabrics- the dress seems so breezy and light while the jacket and the booties bring a wintery feel to the outfit. I'm also obsessed with the golden details (watch, sunglasses, earrings) and the hairstyle! I absolutely love this outfit; indeed you look cool and definitely stylish!